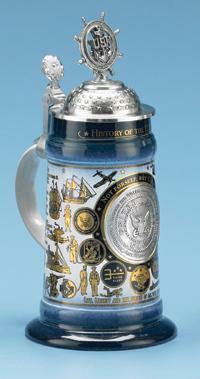 This traditional, German stein celebrates Viking explorer Leif Erikson, who is pictured in front of his ship. 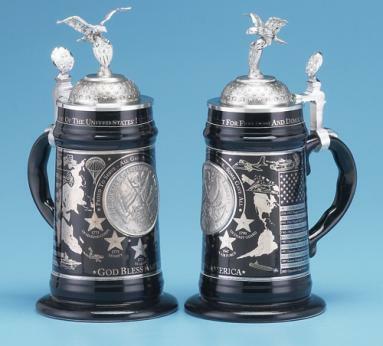 The stein is finished in a rich blue, "antique" style glaze. 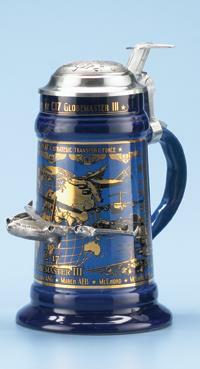 Very detailed! 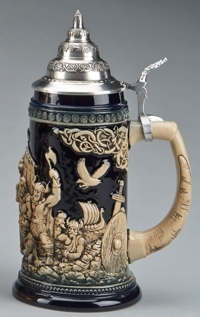 An ornamental pewter lid completes this handsome stein. 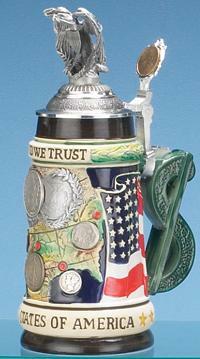 This stein is also sold in full color -- see item #4455.